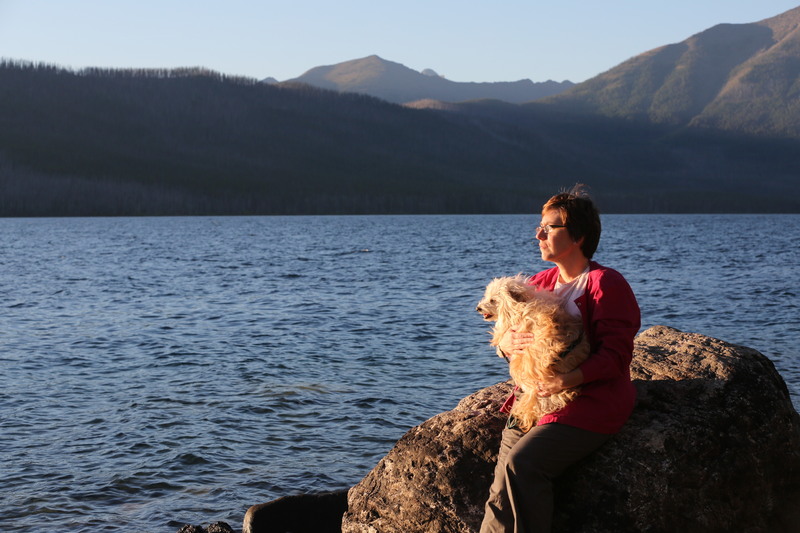 At age 35, after applying to 11 veterinary schools, Sandy Anderson took a leap of faith. When Iowa State’s College of Veterinary Medicine notified her that she was on a waiting list for the incoming class in 1999, she and her husband, Clint, moved to Ames. One month later, she learned she had been accepted. She had never been to Iowa before. Both natives of Pittsburgh, Pa., the Andersons believed Iowa State was the right fit for Sandy to study veterinary medicine. And it turns out they were right. Sandy graduated with her DVM in 2003. A lifetime ago, Sandy was a dental hygienist on the east coast. Today, she is the sole veterinary provider in Lakeside, Mont. When Sandy graduated from Iowa State, they moved to Eureka, a tiny town in northwestern Montana. She joined a mixed-animal practice. “I was open minded,” Sandy said of her experiences with cows, horses, ostriches, goats, pigs, mules, and ponies in Eureka. Clint saw it differently. “Sandy was thrown to the fire,” he said. After several incidents with large animals, including a concussion from being head-butted by a cow, Sandy decided the mixed practice was not for her. She learned that a part-time veterinarian in Lakeside was retiring, so she bought his phone number and client list. She found a small space in town and called her new clinic the Great Northern Veterinary Center. Clint works with her in the front office. The couple enjoys living near Flathead Lake and their proximity to Glacier National Park. Sandy and Clint have two dogs, Teddy and Raisinet, who go to work with them every day, and they have three cats at home. Clint says he likes to watch new clients as they look at the diploma on Sandy’s wall.